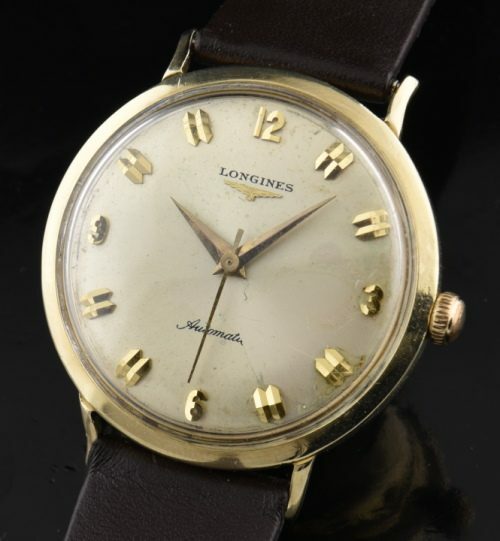 This 1950’s vintage LONGINES is one of those watches your dad wore for a lifetime and you never saw him take it off! This example will last another lifetime (or two). 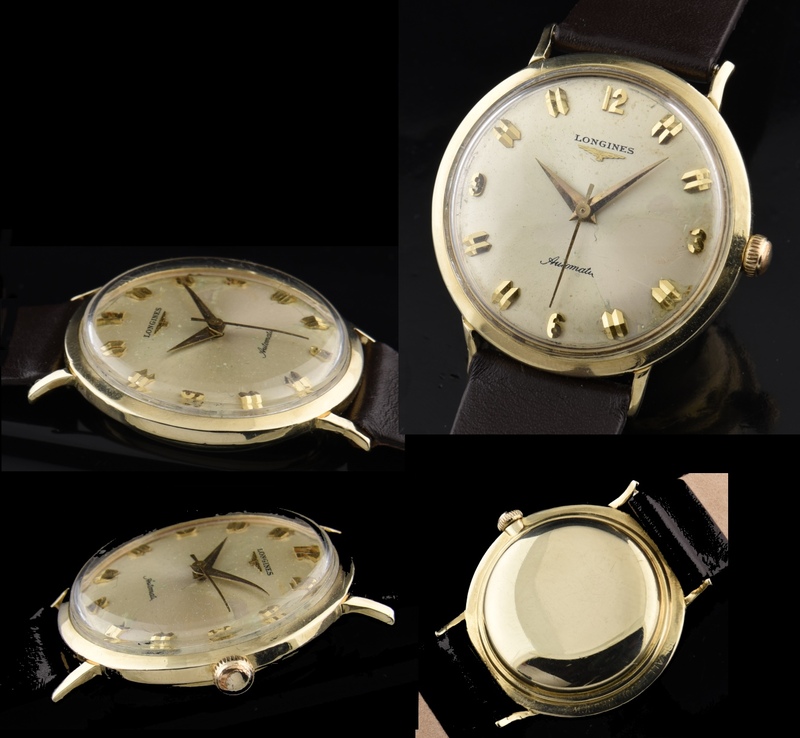 This is the ideal dress watches; solid 14k. gold, mid-size, discreet 33mm. Yes, The original dial has wear and the case has a few minor dings. I could NOT bear to melt this watch. The very fine automatic winding LONGINES movement was just cleaned and is sparkling and accurate. Preserve this watch for another 50 years. This watch looks great on the wrist and is a solid gold steal. $595.